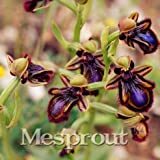 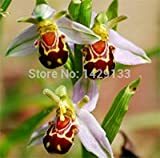 Ophrys insectifera growing herbaceous rhizome of the genus Ophrys also known as Ophrys insectiferas, Ophrys insectifera perennial deciduous plant used as ornamental cut flower plant, can grow in mediterranean, subtropical or temperate climate 6-9. 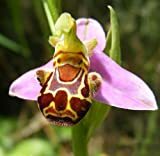 Flower shape looks like fly and attract male bees and wasp, flowers grow on stem in inflorescence, some of the orchid pollinate in self-pollination, the flowers are small 0.5-4 cm, and flower color can for 3 sepals can be: green, the “body” color can be: black-brown-purple. 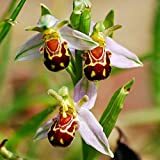 Flower attract male bees, flowers grow on stem in inflorescence, some of the orchid pollinate in self-pollination, the flowers are small 0.5-4 cm, and flower 3 sepals color green, the “body” color can be: black-brown-purple.